At the age of 27, after his one year internship, Dr. Gigante returned to the tristate area and began practicing with Dr. Jay Gilden, a chiropractor in Waldwick, New Jersey. Due to personal issues in Dr. Gilden’s life, he asked Dr. Gigante to take over his modest chiropractor practice. In 1979 Dr. Gigante began his journey which would later lead to the founding of The Back Pain Center. In 1990 Dr. Gigante moved his practice to it’s present location and founded The Back Pain Center. Dr. Gigante has been married to his beautiful wife Jean since 1982 and has 4 wonderful children, Alfred, Michael, Daniel and Jeanmarie. Licensed in NJ and NY, Steve Lim, LAc has a wealth of experience treating conditions of the Nervous System, Musculoskeletal System, and diseases that effect the organs of the body. 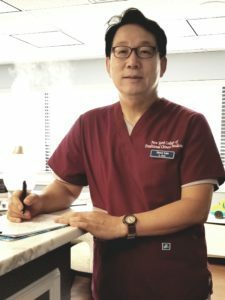 Conditions such as Frozen Shoulder, neck/back pain, migraine and tension headaches, arthritis, Fibromyalgia, menstrual cramps, stroke, herpetic and trigeminal neuralgia, Shingles, hip knee and ankle pain, sports injuries, infertility, symptoms associated with stress, and addiction are commonly seen by Dr. Lim. Steve Lim, LAc is a compassionate practitioner who cares deeply about his patients’ health and wellness making his patients feel physically and emotionally balanced and cared for. 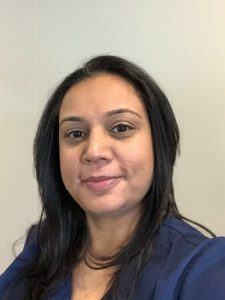 Chetali graduated from the University of Pittsburgh in 2002 with a masters in Masters in Science with focus on musculoskeletal Physical Therapy. Chetali has more than 15 years of experience in various out-patient rehabilitation facilities and acute care hospitals. Over the years she has specialized in various joint disorders from sports injuries to degenerative arthritis and has strong manual therapy skills including muscle energy techniques, and joint mobilization skills with specific focus on the spine, shoulders, hips, knees and the feet. She incorporates a holistic approach and is compassionate about her patients returning to their fullest level of function. Chetali Zaveri is married to her dear husband Chaz and has two boys Ansh and Rehaan. A graduate of Essex Community Collage in 1998 with an Associates Degree, Chris is a licensed Massage Therapist who was certified by Healing Hands. Chris has recently been certified in Thermal Laser which is presently the most advanced technology for joint and back pain. Her initial background has been in subacute care with specific focus on working with amputees. The transition to Joint & Spine Rehab’s approach has been a blessing, allowing all her skills with soft tissue massage to be put to work.